Dream Job Style Profile: Jenna Lyons, J.Crew President and Creative Director. I really hadn't been in J.Crew in years. It was the latest neon look book that captured my eye. I am all about color this year, that could be because I've been in a haze of black, blue and grey. Not that there's anything wrong with those colors, I love them.. its just crushing hard on the vibrant colors. Can you blame me? It's weird how one thought enters your mind and then its all you seem to see. So, I saw the neon J.Crew look book, then I happened to walk by a J.Crew so I stopped in and then Jenna Lyons popped up on my pinterest board. It could be a coincidence, but I thought it was perfect timing. 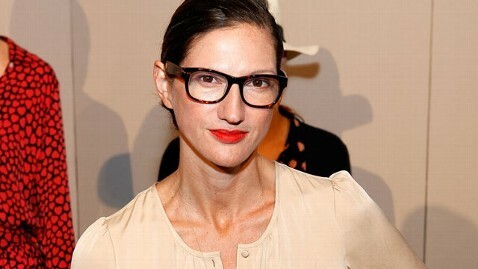 Jenna Lyons is the next lady to be featured in my Ladies who rule the Fashion world series. Her denim outfits are my favorite. She always seems to be rocking a pair of nerdy glasses. Are they for show or they for style? Does it matter? 1st I noticed the shoe rack. Then after a few looks I was able to praise her denim on denim style. This is my favorite. The heels, the pants and she completes the look with a jean jacket. How could I not love this? Of course she can pull off a denim free look as well. Jenna not only works hard to make great clothes for ladies, but she rocks denim like nobody's business. The Dream Job Style Series. Love the combination with the pants with block colours!!! 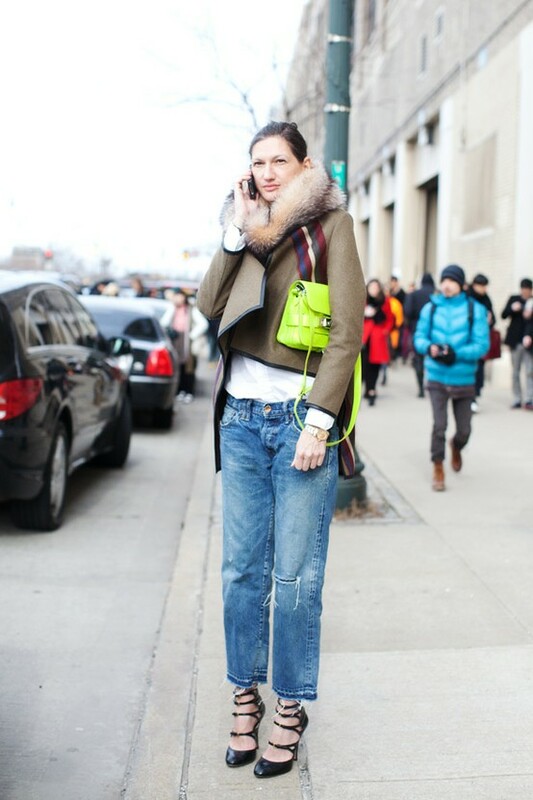 Agreed... Jenna Lyons is amazing. I'm absolutely obsessed with her. Great post! Love Jenna. Her quirky style mash-ups always inspire me and they're always so smart. I love a style that has such clearly thought intent. Love the jean jacket. That is awesome!